Teach your toddler or preschooler the ABC's by crafting a letter each week! 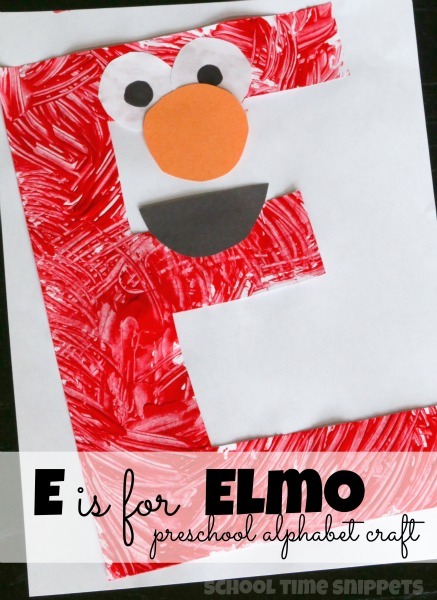 For the letter E, make this cute Elmo craft! We may not watch Sesame Street over here, but we were inspired by the famous little red monster for our latest letter craft-- E is for Elmo! Free hand or print out a large uppercase E on a white sheet of paper. 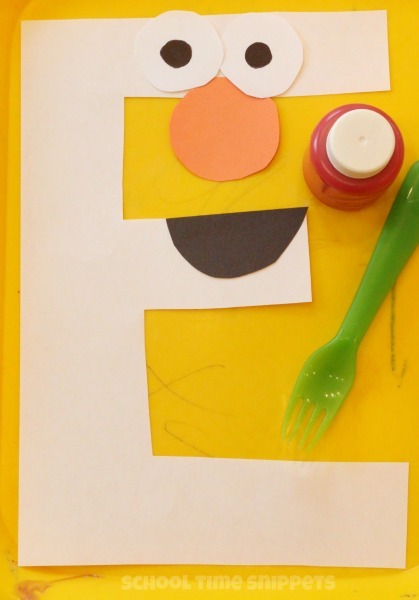 Make the famous Sesame Street character by painting the letter E red using a fork to make Elmo's furry body. 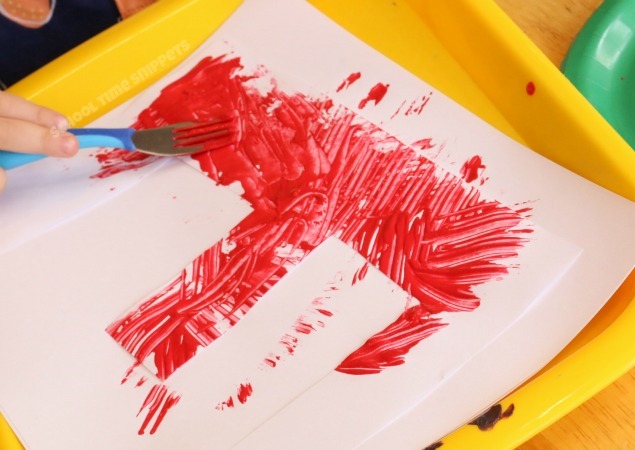 Squirt several small drops of red paint on the E, and have your child use the fork to make a furry body by pulling the fork back towards you. Pull the fork back in various directions. Allow the paint to dry. Once that is dry, make a small black circle in each white circle-- these will be Elmo's' eyes. Glue the eyes to the top of the E.
Next, add Elmo's orange nose and mouth. It turned out to be such a cute and simple alphabet craft for the Letter E! 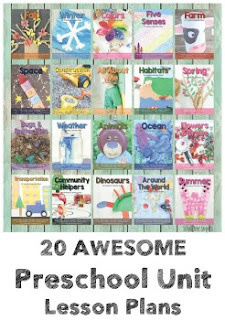 Or check out ALL our Letter Crafts from A-Z!